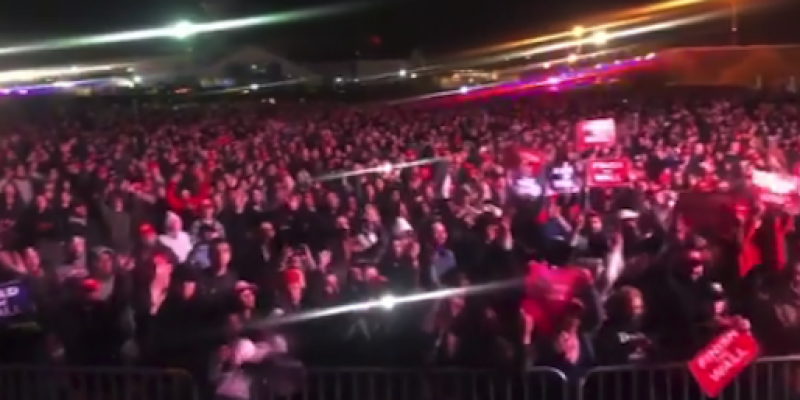 Fake news rapidly spread last night about the failed U.S. Senatorial candidate Beto O’Rourke’s pitiful rally held on the same night as President Trump’s rally in O’Rourke’s hometown of El Paso, Texas. On Twitter, “reporters” stated thousands attended Beto’s event, when in actuality, the president’s claim that only a few hundred attended, was more accurate. The fake news used numbers attributed to Trump to Beto. They deliberately lied. Why? Because America is a place where the rule of law still exists. It’s illegal to traffic people, because our laws say it’s a human rights violation to smuggle people and sell them. It’s illegal to peddle drugs to children and vulnerable because it harms them. It’s illegal to steal from the elderly and minorities who would otherwise receive much needed government services because the elderly and vulnerable are to be protected– and as citizens that is their right. Laws exist because people will break them for their own selfish reasons. The government’s primary purpose is to maintain order– and it cannot do that if it institutionalizes theft in other areas of policy in addition to taxation.